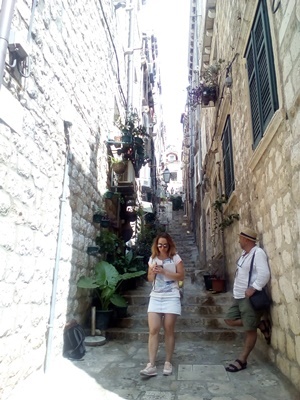 Dubrovnik is among the most beautiful medieval cities in the Mediterranean and the best way of exploring its gems is to take part in the private tour. These tours are ideal for individuals, couples, families and small groups because each tour is tailored to your wishes and needs. Professional and qualified guides will reveal you the facts from the city's rich history as well as secrets from everyday life. 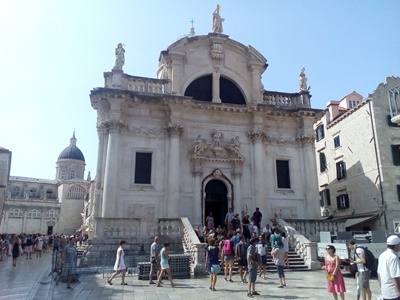 Private guided tours are available in a range of languages but the most common languages are English, Croatian, German, French, Italian and French. No visit to Dubrovnik would be complete without a leisure walk through the narrow streets or seeing the top historical sights. All this can be done in a company of your guide on a private walking tour. You will stroll down the main street - Stradun, visit the Franciscan Monastery or admire the treasures of the Dubrovnik Cathedral. Each guided tour covers all the magnificent buildings and monuments with detailed description of the Dubrovnik’s rich history. Tours can include a visit to filming scenes of the popular TV series "Game of Thrones". Private guided tours of City walls are also available for visitors. While learning about this impressive walls that surrounds the Old Town you will climb the towers such as Bokar Fortress and Minceta Fortress and enjoy the amazing views of the city and the Adriatic sea. Note that entrance fee to the City walls is not included in the price of the tour. 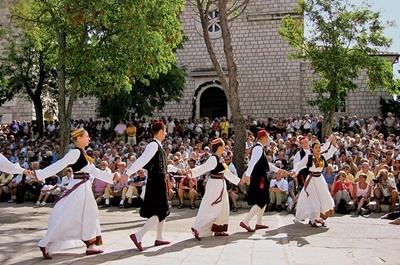 For experiencing something completely different, you should take a private tour to the picturesque region of Konavle, situated south-east of Dubrovnik, known for its traditional way of living, hand-made embroidery, amazing landscape and delicious food. Konavle is a home to around 30 villages that have settled among the verdant natural beauty. While taking part in a private tour to this area you will visit centuries old wine cellars and vineyards where you will have a great opportunity to taste some of the best local wines. Also you will visit agro-tourism households which produce home made cheese, smoked ham, dry figs, olive oil, herb brandy and other local delicacies. Konavle has for centuries been renowned for the production of silk yarn, where it was used for the decoration of male and female national costumes. You will have a opportunity to buy hand-made souvenirs and embroideries and enjoy the folklore performance of folk music of the area in front of the St Nichola's Church in the village of Cilipi. Finally, do not miss visiting Cavtat, fascinating small town situated south of Dubrovnik. In this typical Mediterranean place you may visit St Nichola's Church, the 16th century Rector's Palace and Racic Mausoleum. While in Dubrovnik don't skip a opportunity to visit Peljesac peninsula, famous wine region of Croatia and the nearby Korcula island. You will have a chance to visit local wine cellars and sample the best wines. 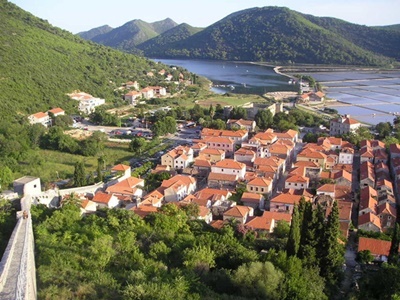 Also you will visit Mali Ston and Ston, major gastronomic highlights of Dubrovnik region, producing the best oysters in Croatia. You will also walk through Ston, an important saltproducing town in Dubrovnik Republic, surrounded by 5.5 km long walls sheltering medieval town center. The trip will be crowned by an incredible experience on the boat, taking a sail in the bay of Mali Ston, where freshly picked oysters will be taken out from the bay and served on the boat with some wine. Some tours will take you to Orebic to catch a ferry towards the island of Korcula. After the sightseeing tour take your time to visit a birthplace of one of the greatest world travellers, Marco Polo. On your way back to Dubrovnik, you will stop at local restaurant to taste delicious Mediterranean food and local wines.